This post is for the runner who is currently running alone but wants to find a running group. Or the runner who knows of a couple groups but is struggling to find the right running group. I’ve been there. When I started marathon training back in 2013, I would piece together long runs with various friends from groups I had dipped in and out of. It was time consuming and sometimes it resulted in me running alone because I couldn’t find someone. It sucked. So I started searching for a running group that I could commit to. 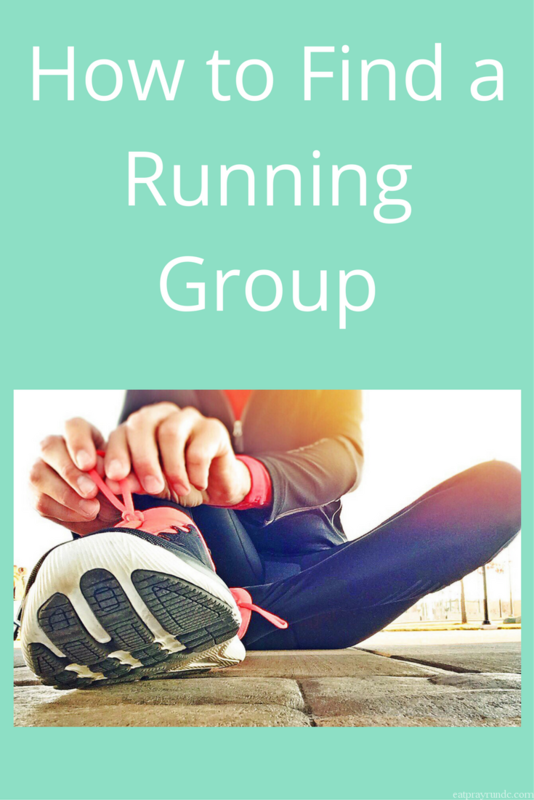 If you are looking for tips on how to find a running group, this post is for you. Start with local running stores. Your local running store probably hosts its own running group. However, even if they don’t, the chances are high that they can give you the lowdown on local groups that you can check out. Do your homework. I found my current group just by searching online. I recommend doing some googling and seeing what you can find about various groups and then making your short list of groups to try (see number four). Think about what you are looking to get out of the group. Are you looking to get faster? Just for some company on long runs? Or do you need a group that does speed work each week? Taking stock of what you need in your group will help you to figure out and evaluate what group might be right for you. Try before you buy. I highly recommend visiting a few different groups to meet the members, see how the paces work out and get a sense of the group before committing. This is why you want to have a sense of what you want the group to do for you. Personally, I was looking for company during long runs. My group is laid back and has a fantastic mix of paces – ranging from run-walkers to multiple time Boston qualifiers. It is the perfect group for me and I’m so glad I found them. Once you find a great group, pay it forward! I have gotten a few of my friends to join my group because I’m so passionate about it and the group is so great. Once you find a great group – share the news! Do you run with a group or solo? P.S. – if you are in the DC area, check out the Arlington Road Runners Club if you are interested in checking out my group! For my weekly runs I usually run solo but for my long run I usually have company for some of the miles. It does help! It makes all the difference for me! You should think about starting your own! Great post! I definitely haven’t found mine yet, but it is a goal. I joined the Volee hoping to find just that. I love how you birds are in DC. A goal of mine for the year is to organize a meet-up here in Baltimore! We do have meetups/events in the Baltimore area! !